Businesses have discovered that improv-based trainings are an effective way to build collaboration, communication, and creativity (in addition to being a ton of fun). Washington Improv Theater is proud to be the area's most experienced facilitator of improv-based trainings. We know, sometimes people can be skeptical. But our clients tell us that trainings helped unlock new ways of thinking and brought their teams closer together. The benefits of improv in the workplace has been covered by publications like Forbes, The Chicago Tribune, CNN, and more. 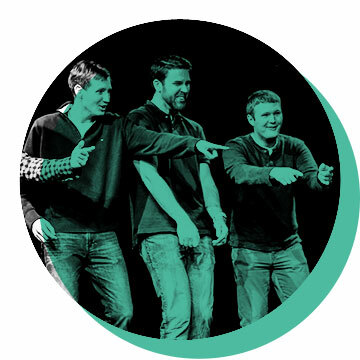 Check out these articles and links to learn more about why improv trainings work and which companies and nonprofits have already reaped its rewards. Contact us to see how a WIT@Work training can help your team.